Think natural and youthful. Tanya Taylor had models in bare skin with brushed up fluffy brows and bare, slightly blushed lips. 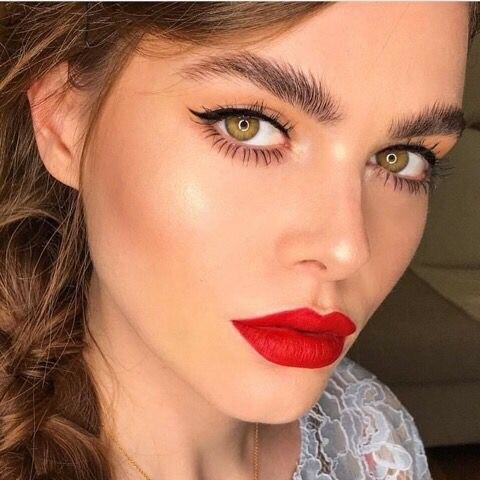 Brows have been in the limelight for the past few years and this trend doesn't seem to be going anywhere in 2018 - the bigger the better! 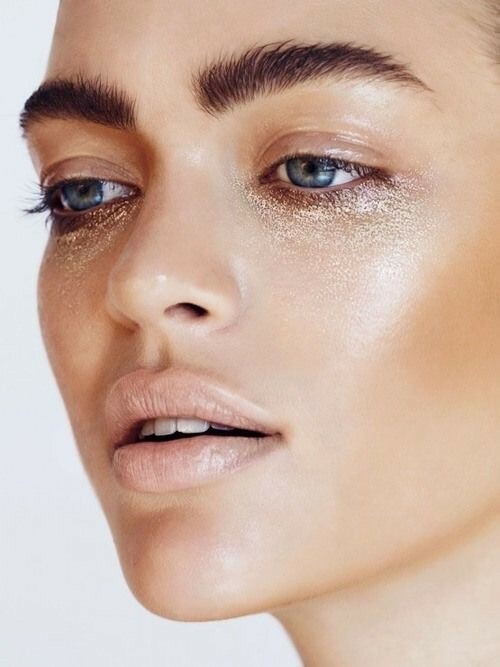 Naturally shaped fluffy brows are going to be massive this year! So if you haven’t already, book your brow appointment with us so we can help cultivate what you've got - and take your brows into 2018. Whether you need a hand making your brows fuller, or need a little assistance with taming, the beauty team at Linton & Mac can help you out! Green shadows this year are going to be right on point! From lime to forest green and every shade in between. You can rock this look as high fashion as Tracey Reese, using a gloss green on lids to give an almost vinyl look. Or this trend can be worn like P Louise "Insta-Glam" look - with sharp cut-creases and full lashes. Harping back to the days of bare skin and a high gloss lip - lots of brands this year will be taking out new glosses and shimmers. Lip strobing is set to be a must wear trend, using highlighters and iridescents to create a 3D kissable pout. This trend is going to be huge in 2018. I predict that this trend is going to be HUGE in 2018! Limited Edition Pantone Color of the Year 2018 Ultra Violet will be making an impact on the make-up scene this year. Think galactic shades of shimmer, bringing this 70's throwback firmly into the twenty-first century!